List Rules Plot holes in any of the X-Men movies. Vote up those that are too glaring to ignore. While the X-Men film franchise is a lot of fun to watch, there are a vast number of plot holes in X-Men movies. Even after X-Men: Days of Future Past tried to salvage the franchise and merge both the original and First Class timelines, it somehow created even more X-Men movie plot holes, tangling the timeline to an even greater extent. While most X-Men film plot holes don't detract from the enjoyment of the movies themselves, some of the holes are too big to ignore. Here's a list of the worst plot holes in X-Men movies. When did Wolverine get his adamantium claws back? At the end of The Wolverine, which takes place before X-Men: Days of Future Past, Logan's adamantium claws are lopped off, but grow back as bone claws. Yet the future Logan at the beginning of Future Past has his metal claws back. When did this happen? How? Did he subject himself to a second skeletal adamantium coating? Professor X is not vaporized and has his body back. In X-Men: The Last Stand, Xavier is vaporized by the Phoenix, but it is hinted that he transfers his consciousness into a comatose man before his body disintegrated. In X-Men: Days of Future Past, Charles is back into his original body. How did his body come back? After that, when and how did he transfer his consciousness back into his original body? Is it a mental projection of his old self in a new body? If he could just transfer himself into a new body, why choose one that requires him to be in a wheelchair again? Hank McCoy built Cerebro but Xavier claims he and Magneto built it. Prior to First Class, both Xavier and Magneto claim to have built Cerebro, the machine that allows Xavier to monitor and find mutants anywhere on Earth. Yet in First Class, Hank McCoy originally builds Cerebro without the involvement of either mutant. 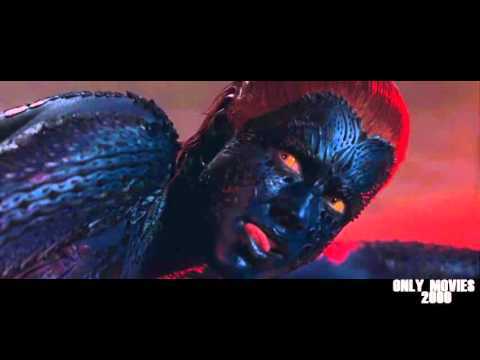 Mystique's DNA would be useless for Sentinels. Trask's plan in X-Men: Days of Future Past is to use the mutants' own powers against them by having Mystique's DNA give the Sentinels the ability to mimic a mutant's power. However, it is long established that Mystique can only shapeshift physical forms, not copy a mutant's attributes. Sure, the Sentinels could possibly shapeshift if Trask was successful, but they can't outright mimic other mutant abilities. Want proof? When Mystique copies and fights Wolverine in the first X-Men, the real Logan was able to chop off Mystique's claws. To make his Sentinels truly have mutant powers, Trask would need to muck about with Rogue's DNA, since she can absorb the actual abilities of any and all mutants.